Under current law, states are limited in their authority to require out-of-state retailers, such as mail order and e-commerce companies, to collect state and local sales taxes on orders that are delivered to in-state residents. It disadvantages local businesses. Exempting online retailers from having to collect sales tax, as regular stores must, gives them a 4 to 11 percent price advantage over local stores. This is a sizable competitive advantage in retailing, and perversely, it shifts a state and local tax burden onto the retailers that are based in those communities and therefore already contribute more to them. It undermines state and local governments by reducing tax revenue for schools, police, and other services. 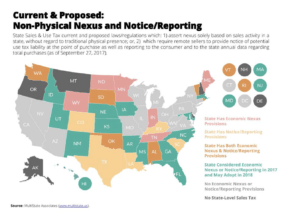 Currently, 45 states assess sales taxes, from which they receive about 25 percent of their total revenue each year. A recent study [PDF] from the U.S. Government Accountability Office found that had state and local governments had the authority to require sales tax collection from remote sellers in 2017, they would have benefited from an additional $8 billion to $13 billion in sales tax revenue. It makes a regressive tax more regressive, because only those with internet access, a credit card, and a home or workplace where they can accept daytime deliveries are able to take advantage of the tax exemption. This policy dates back to 1992 — long before e-commerce had grown into a multi-trillion-dollar force in the U.S. economy — when the U.S. Supreme Court decided the case Quill Corporation v. North Dakota. In that case, the question before the Court was whether, if states required out-of-state retailers to collect sales taxes, that requirement would cross the line from an acceptable burden on interstate commerce to an unreasonable one. The Court ruled that there would be nothing inherently unconstitutional about states having that authority, but concluded that Congress should make the call. The Court’s ruling left in place existing policy, under which remote retailers must collect sales taxes only in states where they have a physical presence or other tangible “nexus.” But the Court explicitly invited Congress to revisit the policy. “The underlying issue is not only one that Congress may be better qualified to resolve, but also one that Congress has the ultimate power to resolve,” the Court wrote. Today, software and related tax services have largely eliminated any difficulty in calculating and remitting sales taxes for the country’s many state and local jurisdictions. Yet Congress has failed to extend sales tax collection to online retailers. With these statements, Kennedy seemed to invite states to enact laws at odds with Quill, and to trigger a legal challenge that would give the Court a chance to revisit the 1992 decision. Several states have since done so. As of April 2018, the fight to require online retailers to collect sales taxes — and play by the same rules as brick-and-mortar retailers — is currently being waged on three fronts: State laws that argue that the sales tax obligation should be triggered by “economic presence” instead of physical presence, one of which has launched legal proceedings that have again brought this issue before the U.S. Supreme Court, as Justice Kennedy seemed to suggest; state laws that aim to close other loopholes, in particular, requiring platforms like Amazon to collect sales taxes on goods sold by third-party merchants through their site; and ongoing debate in Congress about national legislation on the issue. Other states quickly followed suit with similar laws, with Tennessee, Wyoming, and Alabama among them. The laws contradict the Supreme Court’s ruling in Quill — but that’s the point. South Dakota is leading a charge of nearly two dozen states, as Governing magazine reports, that are undertaking a “coordinated effort” to land the issue of sales tax fairness back in the courts. After passing its law, South Dakota got the legal process started by suing four online retailers. Not long after, South Dakota v. Wayfair, Inc., reached the U.S. Supreme Court, and the Court agreed to take the case. Attorneys general of more than 40 states, along with organizations like the National Governors Association, have filed briefs that ask the Court to uphold South Dakota’s law and eliminate the physical presence requirement, as have groups representing retailers. The Court will hear the case on April 17, 2018, and decide it by June. While states have been waiting on Congress and the U.S. Supreme Court, they’ve come up with other strategies to address aspects of the online sales tax issue. 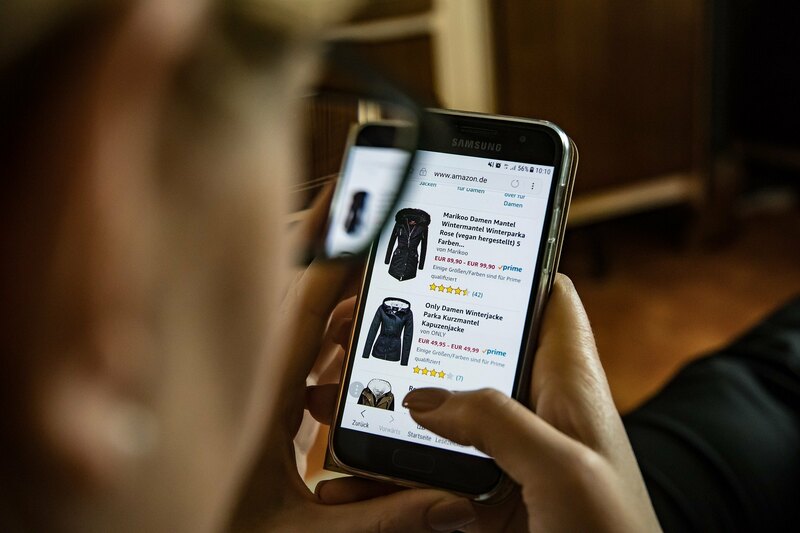 The most recent of these focuses on online retailers that are also platforms, and requiring those retailers to collect sales tax on goods that are sold by third-party merchants on their site. The most prominent of these companies is Amazon. Though Amazon made avoiding sales tax collection a central part of its growth strategy for years, today, the company collects sales taxes in every state that has them. (Though it still does not collect all local sales taxes). However, Amazon only collects sales taxes on goods it retails directly; it does not collect sales taxes on its third-party sales. These sales are significant: They comprise roughly half of Amazon’s volume, and the Multistate Tax Commission estimated in 2017 that sellers that are part of Amazon’s Fulfillment by Amazon program alone owe about $2 billion in uncollected sales taxes. A new study from Civic Economics and the American Booksellers Association puts the figure even higher, at as much as $5 billion in 2016, and a recent report [PDF] from the U.S. Government Accountability Office estimates that, among all platforms, third-party sellers collect just 14 to 33 percent of taxes on their sales. Through these third-party sales, Amazon continues to hold a significant competitive advantage over brick-and-mortar retailers. Several states have recently passed laws that aim to close this loophole. Washington, for instance, passed a law that took effect January 1, 2018, that requires “marketplace facilitators” with either a physical presence in the state or more than $10,000 in retail sales delivered to Washington to either collect sales tax, or notify the buyer that a use tax is due. Pennsylvania passed a similar law that took effect April 1, 2018. Meanwhile, South Carolina is pursuing this strategy in a different way. South Carolina has not passed a new law, but instead argues that Amazon is responsible for collecting and remitting state sales tax on “all goods sold on Amazon.com,” including those sold by third-party merchants, under existing state law. South Carolina contends that Amazon owes $57 million in uncollected sales taxes on third-party sales in 2016 alone, and estimates that it could lose more than $500 million in sales tax revenues over five years. Amazon has filed a legal challenge, and wrote in a filing to regulators, “We intend to defend ourselves vigorously in this matter.” The case is ongoing and scheduled for trial in November 2018. Prior to tackling the issue of third-party sales, states were also at the center of earlier efforts to compel Internet retailers to collect sales taxes on their direct sales. In the years that followed Quill, Congress repeatedly declined to pass a national sales tax fairness bill (more on this below), which left states to try to address the issue on their own. In 2008, New York pioneered a policy strategy that effectively skirted the constraints of Quill and forced Amazon, Overstock, and other web-only retailers to collect the state’s sales tax. New York did this by passing a law that clarifies what constitutes a physical presence, or “nexus,” for the purposes of sales tax liability. It says that online retailers have nexus in New York — and must therefore collect sales taxes — if they have sales affiliates in the state that generate a combined $10,000 per year or more in revenue for the retailer. (Sales affiliates are individuals or organizations that are paid a commission for linking to the online retailer’s website). In March 2013, in a case brought by Amazon and Overstock, the New York Court of Appeals upheld a lower court decision ruling that the state’s law does not violate the commerce or due process clauses of the U.S. Constitution. 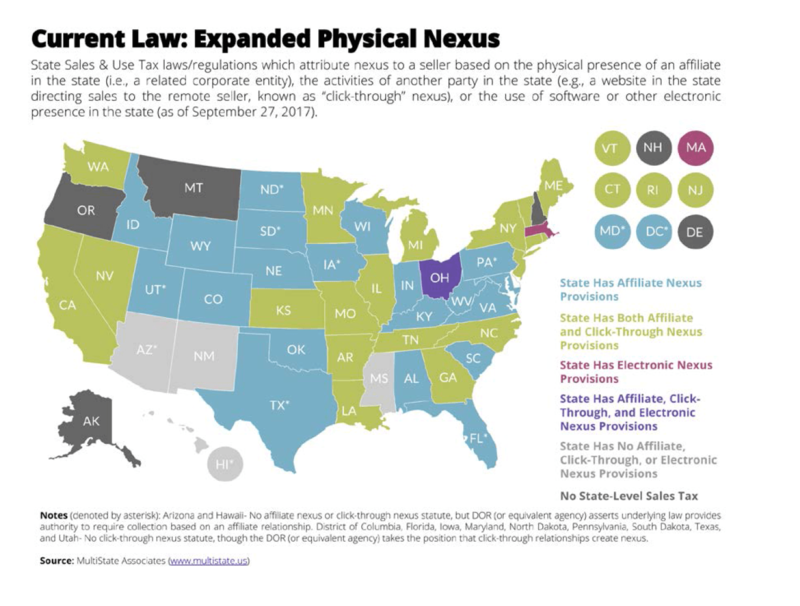 A number of states followed New York’s lead (see map), including California, which passed a law that also extends the obligation to collect sales taxes to online retailers that have subsidiaries or affiliated companies in the state. As more states passed these laws, and as Amazon’s physical footprint expanded to more regions with the opening of warehouses, the number of states in which Amazon did not collect sales taxes began to steadily shrink after 2008. It wasn’t until 2017, though, that the company was finally collecting tax on its direct retail sales in all 45 states that have a sales tax. An interesting historical footnote is that the fight over this issue has not always been limited to web-only retailers. In 2001, California became the first state to issue an administrative ruling against the practice of “entity isolation,” in which national chains like Borders Books and Target argued that their brick-and-mortar locations were distinct entities from their e-commerce sites and, as a result, did not collect sales taxes on their online orders. The ruling forced the chains to comply with sales taxes on the web and other states soon followed suit. This became a moot issue in 2003, when most national chains cut a deal with the states in which they were forgiven all of their back taxes in exchange for collecting sales taxes online from that point forward. With that deal, the chains joined independent brick-and-mortar retailers in operating at a competitive pricing disadvantage to Amazon. Though Congress has the authority to resolve the issue of online sales tax fairness, and create a solution that’s uniform across the country, it has failed to do so. This is despite the fact that members of Congress have repeatedly introduced legislation to address the issue, including as recently as April 2017. Congress’s most robust effort was the Marketplace Fairness Act, which was introduced in the Senate in 2013 by Senator Mike Enzi and 29 others. The MFA would have authorized states that had met standards for simplified sales tax rules to require large online and catalog retailers to collect sales taxes. Under the MFA, small online and mail order retailers with less than $1 million in out-of-state sales would be exempt. Though the Senate passed the MFA with a bipartisan vote of 69 to 27 in May 2013, the bill stalled in the House when Speaker John Boehner refused to bring it to a vote before the end of the 113th Congress. Check out this interactive map to see how much of your state’s budget gap could be eliminated by requiring online sellers to collect sales taxes. “Amazon’s Big Assist from Government”: This article from ILSR’s Stacy Mitchell looks at a new study shows how, for years, Amazon’s competitive advantage came in part from not having to collect sales tax in many states. See also: “The “Amazon Tax”: Empirical Evidence from Amazon and Main Street Retailers,” by Brian Baugh, Itzhak Ben-David, and Hoonsuk Park, Ohio State University, April 2014. This resource finds that after Amazon begins collecting sales tax, consumers reduce their spending on the site by about 9 percent overall, and 29 percent for expensive items. “After 20 Years, Congress May Finally Pass Internet Sales Tax. Is it Too Late?” by Stacy Mitchell. “Yes, Small Business Wants Online Giants to Collect Sales Tax”: This op-ed in Businessweek, by Kathleen McHugh and Oren Teicher, makes the small business case for online sales tax fairness. See also: “Why Does Congress Want Me to Shun my Local Bookstore and Shop Online Instead?,” by Stacy Mitchell. Article I – Section 9 of the US Constitution states: “No Tax or Duty shall be laid on Articles exported from any State.” Based on that, unless the point of sale from which the goods are sold resides within the State the goods are being shipped, no tax or duty could be levied. The Supreme Court “Quill v. North Dakota” decision stretched the definition of “No Tax or Duty” just beyond the legal breaking point to satisfy State political pressure. Internet Sales Tax Fairness should fully respect the rule of law and the US Constitution before satisfying their greed. Sales tax collected on goods and services sold from businesses licensed to do business within the local governments’ jurisdiction should continue to be the extent of their reach. I’m always surprised by people who write and express strong support for the idea that government should step in and favor one group of businesses over another by not requiring them to collect the same taxes. Our system was built on the idea of fairness, a concept deeply imbedded in the Constitution. In Quill, the Supreme Court said: “Accordingly, Congress is now free to decide whether, when, and to what extent the States may burden interstate mail order concerns with a duty to collect use taxes.” That is, the Court found no fundamental Constitutional problem with Congress establishing a level playing field when it comes to sales tax collection. That is what we are advocating.